“Information Clearing House” – Max Weber defined a key attribute of a state as holding the monopoly on the legitimate exercise of violence within a given territory. For anybody other than the state to use substantive physical force against you or to imprison you is regarded as an extremely serious crime. The state itself may however constrain you, beat you, imprison you and even kill you. That link is on deaths in police custody. I might also quote the state murder of 12 year old British child Jojo Jones, deliberately executed by drone strike by the USA with prior approval from the British government. 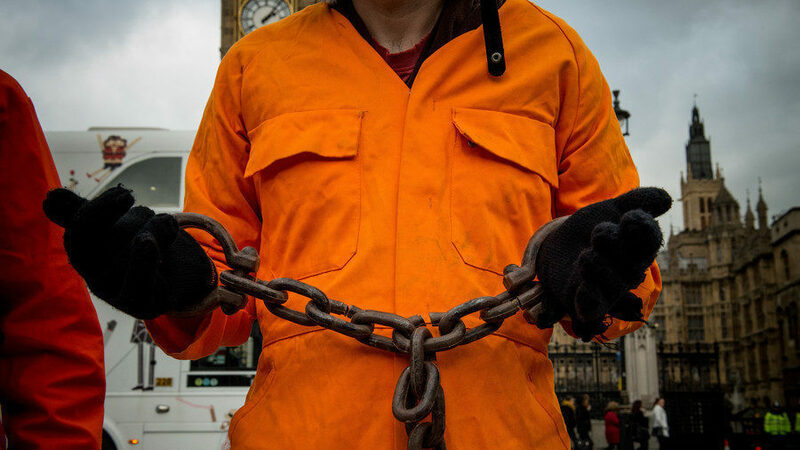 A public inquiry into Britain’s complicity in torture must be ordered by Prime Minister Theresa May, a cross-party group of ex-soldiers, including Andrew Mitchell, Dan Jarvis and Crispin Blunt, has demanded. Their plea comes two months after a parliamentary Intelligence and Security Committee (ISC) report concluded that Britain had tolerated “inexcusable” treatment of suspects by the US during the so-called war on terror. The letter, seen by the Times, argues that “UK involvement in abuses tarnishes our international reputation and severely hampers our operational strength worldwide, damaging our international partnerships and our national security. “The report of the ISC has uncovered disturbing new evidence of UK involvement in the US government’s programme of torture and rendition. Upon taking office in 2010, former Prime Minister David Cameron announced a judge-led inquiry into the matter, though the move was shelved two years later. In June after the ISC’s report, May publicly apologised for the UK’s involvement in a 2004 rendition program in which British secret services assisted in the kidnap of a prominent opponent of Libyan leader Muammar Gaddafi. Abdel Hakim Belhaj was flown to Tripoli by the CIA along with his pregnant wife, Fatima Boudchar, following a tip-off from MI6. Both were imprisoned in a Gaddafi jail, during which time Boudchar claims she was tortured, leading to the premature birth of her son. By London School of Economics and Political Science: Contrary to some predictions, Britain’s economy has not crashed in the two years since the EU referendum. But growth has slowed markedly, productivity is down, and investment is on hold. Dimitri Zenghelis looks at the effect the prolonged uncertainty about future trade arrangements is having on the economy. In September 2016, a few months after the UK referendum vote to leave the European Union, I argued in this blog that it was too soon to judge the impact on the UK economy. At that time, GDP growth was accelerating and I warned it was too early to talk of a Brexit boost. Almost two years on, the time is ripe to revisit the data and make a more informed assessment of the impact of Brexit on the trajectory of the UK economy. It is important at the outset to distinguish between the impact of the Brexit vote, and the negotiations that have followed, from the impact of Brexit itself, noting that the latter has yet to happen. On first pass, the much-vaunted post-referendum economic crash turned out to be the dog that never barked. UK GDP growth has held up and the economy has not slipped into recession. More people are in work than ever before. According to the latest figures, the UK employment rate stood at 75.6% in Feb-April, the joint highest since comparable records began in 1971. Tabloid headlines vaunting a ‘Brexit boom’ seem far-fetched, but the resilience of the UK economy has surprised some, especially compared to many dire forecasts made prior to the referendum. Yet closer examination of the evidence paints a far less rosy picture. It is of course impossible to know how the economy would have fared in the absence of a vote to leave the EU as we have no observable counterfactual. Yet UK growth has slowed markedly since the referendum in 2016, over a period when the rest of the global economy has boomed. The UK has gone from top of the G7 growth league in 2015 to likely bottom in 2018. All else equal, growth in the UK economy should have accelerated and not slowed over this period. World growth increased in 2017 to 3.8 percent, with a notable rebound in global trade which is expected to endure through 2018. At the same time the Bank of England loosened policy, and the Treasury soft-pedalled on fiscal policy. Yet despite this, something seems to be acting as a powerful drag on UK growth and this is consistent with a negative Brexit effect. The boost to employment ought to be welcome, and such an occurrence is normally associated with a strong economic recovery and a rise in consumption. But looking behind the numbers it is clear that strong employment growth has coincided with weak output growth, such that output per worker has stagnated. Figures published by the ONS earlier this month showed that productivity fell 0.4 per cent in the first quarter of the year and was only 0.9 per cent higher than a year earlier. A lot of the employment turns out to have been part-time and low wage. Low productivity growth combined with the post-referendum depreciation of the pound, which correspondingly pushed up import costs, have squeezed British real wages and purchasing power. Indeed, according to the OECD, the UK had the weakest wage growth of any G7 country over the past decade. UK real wages contracted by an average annual rate of 0.3 per cent, the worst performance of all 34 OECD countries, with the exception of Greece and Mexico. The Financial Times estimates that 0.9 per cent of annual national income has been forgone relative to what was possible if the country had voted to stay in the EU. By fortuitous coincidence this equates to £350m a week, precisely the figure emblazoned on the side of the Brexiters campaign bus, touted as the so-called ‘Brexit dividend’ available for immediate investment in the NHS. Making labour more productive requires investment, yet total and business investment fell in the latest quarter of the year, and rose only 1.5 per cent over the same period the previous year, the weakest performance of all the G7 economies. Lower investment reduces GDP growth today, but it also cuts capacity for future economic expansion because generating growth is what investment does. The fall in business investment is likely driven by two Brexit-related causes. The first is greater uncertainty surrounding the political and economic environment post-referendum. The second is the average expectation that, whatever form Brexit takes, it will likely involve some reduction in access to markets, capital and skilled labour, making the UK a less attractive place to invest. Both put off investors. A recent survey of 600 Eurozone corporations by UBS found that over three-quarters of companies headquartered in EU countries plan to move at least some of their investments out of the UK as a result of Brexit. More than one tenth had stated an intention to leave the UK entirely. According to the Society of Motor Manufacturers and Traders, the industry lobby group, investment in Britain’s car industry has halved, reflecting uncertainty about the UK’s future relationship with Europe. The Bank of England estimates that UK nominal business investment is already at least 3-4ppts below what it would have been without the Brexit vote. The bottom line is the UK cannot sustain growth in living standards without productivity growth, and productivity growth depends on investment in machines and people. Which brings us to the second question: what are the prospects post-Brexit? This is much harder to answer, not least because we will still don’t know what kind of Brexit (if any) will be finally negotiated. Even if we did, economists are notoriously bad at predicting the long run impact of out-of-sample, non-marginal changes to an economy’s underlying structure. Will reduced access to cheap labour force productivity enhancing automation? Will removing business burdens allow the UK to shave costs and retain a competitive edge? Will removing technocratic constraints give the UK policy flexibility to support the economy? On the face of it, tighter controls on immigration may encourage greater capital investment in automation and efforts to enhance the skills of British workers to offset reduced access to cheap foreign labour. This could boost labour productivity and wages. Indeed, staff at the Bank of England have suggested this process may have already begun. However, this seems at odds with ONS findings that companies that import and export heavily tend to have significantly higher than average productivity, suggesting that open borders induce greater efficiency. Moreover, to the extent that a weaker pound has lowered UK real wages relative to other inputs, such as materials, components and finance capital, firms would be expected to shift to less productive labour-intensive activities. Loosening labour and environmental regulations may look to some like an easy way to cut costs for business, but it is unlikely to build UK competitiveness in the modern economy. UK and global manufacturers will likely choose to set standards which allow access to the far bigger EU market. Moreover, there is a large and growing body of evidence showing that tighter environmental standards induce innovation, attract capital and draw in skilled workers to meet rising global demand for renewables and energy efficiency. Yet some immediate effects of Brexit can be quantified with greater confidence. Perhaps the most robustly and rigorously tested model in economics is the gravity model. This tells us that trade between two countries is proportional to size, measured by GDP, and inversely proportional to the geographic distance between them. As Theresa May accurately reported before the referendum vote, this is why “we export more to Ireland than we do to China, almost twice as much to Belgium as we do to India, and nearly three times as much to Sweden as we do to Brazil”. Throwing up obstructions to trade with all our closest neighbours will be predictably costly. Trade means greater competition, which encourages British firms to improve efficiency. It also allows the UK to specialise in sectors where it has a comparative advantage, benefiting from economies of scale in supplying large global markets. The effects of lower immigration on GDP and the public finances are also predictable. Immigrants tend to be younger and more economically active than the average citizen, and therefore make net contributions to GDP and the public finances. The government’s own numbers show national income would be 8% lower under a no deal scenario, around 5% lower under a UK-EU free trade agreement and 2% lower under a ‘soft Brexit’ with single market membership over a 15-year period. Indeed, this is based on the implausible assumption that trading outside the EU customs union and single market is going to be frictionless. Other independent economic studies have shown similar or worse impacts. Most reasonable Brexiters expect some economic transition cost, but they argue either that this is worthwhile to meet other cultural aims, or that it will be limited and temporary (or both). This may be so, but it remains the case that many Leave voters believed they would be at least no worse off after Brexit, which is why Brexiters put so much effort into downplaying the economic impact. Looking ahead, the prospects are not encouraging. The ‘agreement’ at Chequers and subsequent ministerial resignations reflect the fact that the time for appeasing Eurosceptic conservatives with vague language, while postponing detailed outlines of a workable Brexit plan, has run out. 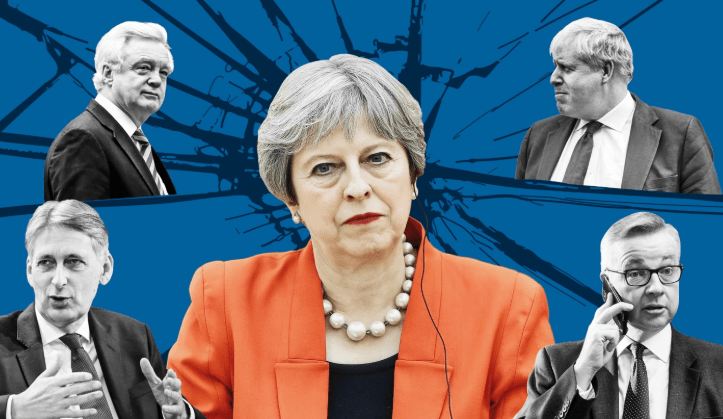 The resignations reflected the inevitable acceptance that the UK is heading towards some form of ‘Brexit In Name Only’, whereby the UK is a de facto EU member, paying into the budget and subscribing to the rules, but without representation or influence. One of the few things Remainers and Leavers see eye-to-eye on is that this is deeply unsatisfactory. This makes it an inherently unstable position. Yet the alternatives of No Deal (or even a ‘Canada deal’) or remaining in the EU are, respectively, too costly—especially as the UK has made no preparations for it—or politically toxic in the absence of a mandate from a new referendum. This means the coming years are likely to be defined by a continued and profound uncertainty over Britain’s future trade and investment climate, with enduring political tension over the destination. Until the terms of Brexit are known, companies will continue to defer investment. Even once terms are agreed, the resulting reallocation of resources to reflect new comparative advantages, trading partners and production patterns, is likely to prove costly and hold back productivity growth. “Terrorism is like a scorpion; it can unexpectedly sting you at any time”. 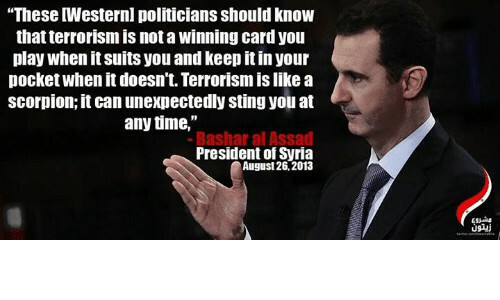 Among the Western nations to discover the bitter truth of Bashar al Assad’s 2013 warning was Britain, when a Libyan suicide bomber killed 22 people attending a pop concert in Manchester. But while the UK media covered the May 22nd first anniversary of the massacre, not a single mainstream outlet so much as hinted at the fact that the attack was intimately linked to the attempt by the Cameron regime to use Jihadi terror as a weapon of foreign policy. 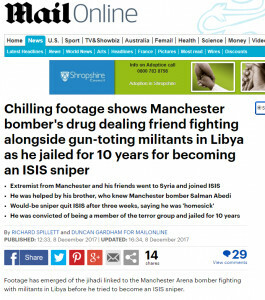 The truth emerged during the trial last December of Mohammed Abdullah, a Libyan national living in Manchester who was jailed for ten years for belonging to ISIS/Daesh. Press coverage of the trial confirmed that Abdullah and his friends joined the terror group after fighting in Libya in 2011. But the same mainstream media carefully avoided the fact that the Manchester terror cell to which Abdullah, and his close friend Manchester bomber Salman Abedi, belonged was formed as a direct result of the British government and security services trying to use radical Muslims as weapons to achieve ‘regime change’ in Libya. “Footage has emerged of the jihadi linked to the Manchester Arena bomber fighting with militants in Libya before he tried to become an ISIS sniper. “Mohammed Abdallah and his brother Abdalraouf were at the centre of a Manchester-based terror network which included Salman Abedi, who killed 22 at the Ariana Grande concert earlier this year. “As unemployed former drug dealer Abdallah was jailed for 10 years today, footage showed him and his brother during a spell they spent in Libya fighting along militants in the country’s civil war. Hold it right there! Because the Tripoli Brigade was not some random bunch of Jihadi crazies. It was a part of the so-called National Liberation Army, the umbrella force organised to overthrow Muammar Gaddafi. The NLA was the ground-force backed by none other than David Cameron, who turned the RAF into the air arm of the Islamist rebellion. It was founded, organised and led by Mahdi al-Harati, a Libyan-Irish citizen. It was armed by the CIA, through the American puppet regime in Qatar. The brigade included officers who had lived most of their lives in English speaking countries including Ireland, Canada, UK and the US. An article in Ireland’s Sunday World drew attention to relations between Mahdi al-Harati and an unnamed US intelligence agency. 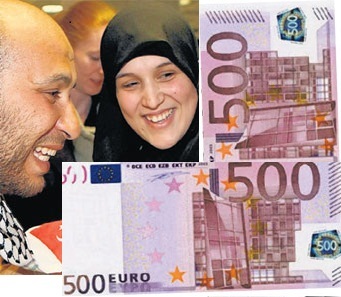 According to the article on November 6, 2011, €200,000 in cash was stolen from al-Harati’s Dublin house a month previously. The Sunday World reported that a criminal gang working the area found two envelopes stuffed with €500 notes during a raid on the al-Harati’s family home, October 6. When Abdallah’s brother was shot and paralysed from the waist down, he was flown back to Britain to get NHS treatment. But the UK’s aid for the rebels went far beyond the ‘health tourism’ we’ve all come to expect in Soft Touch Britain. “One British citizen with a Libyan background who was placed on a control order – effectively house arrest – because of fears that he would join militant groups in Iraq said he was “shocked” that he was able to travel to Libya in 2011 shortly after his control order was lifted. “‘I was allowed to go, no questions asked,’ said the source, who wished to remain anonymous. “He said he had met several other British-Libyans in London who also had control orders lifted in 2011 as the war against Gaddafi intensified, with the UK, France and the US carrying out air strikes and deploying special forces soldiers in support of the rebels. “‘They didn’t have passports, they were looking for fakes or a way to smuggle themselves across,’ said the source. “But within days of their control orders being lifted, British authorities returned their passports, he said. “‘These were old school LIFG guys, they [the British authorities] knew what they were doing,’ he said, referring to the Libyan Islamic Fighting Group, an anti-Gaddafi Islamist militant group formed in 1990 by Libyan veterans of the fight against the Soviet Union in Afghanistan. “Belal Younis, another British citizen who went to Libya, described how he was stopped under ‘Schedule 7’ counter-terrorism powers on his return to the UK after a visit to the country in early 2011. Schedule 7 allows police and immigration officials to detain and question any person passing through border controls at ports and airports to determine whether they are involved in terrorism.He said he was subsequently asked by an intelligence officer from MI5, the UK’s domestic security agency: “Are you willing to go into battle? “‘While I took time to find an answer he turned and told me the British government have no problem with people fighting against Gaddafi,’ he told MEE. The Manchester Bomber’s own father first came to Britain with the help of the security services as a leading member of the LIFG. And the December 2017 trial confirmed that his close friend Mohammed Abdallah was a fighter with the Tripoli Brigade – David Cameron’s allies and “boots on the ground” in the war on Libya. 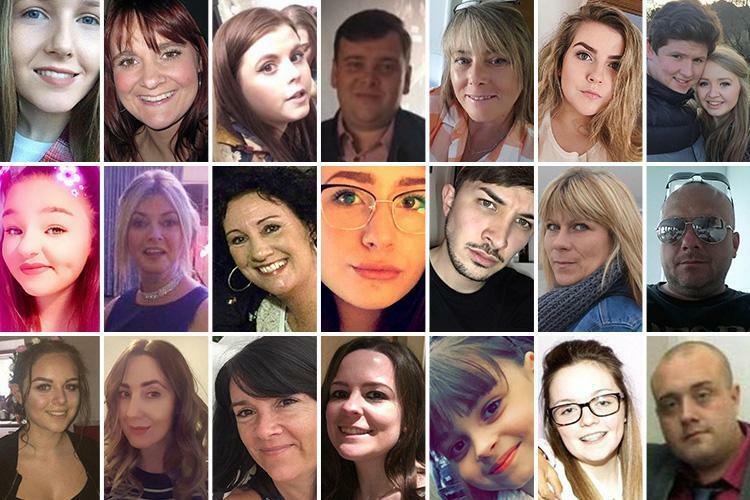 So we see that the terrorist cell which murdered 22 innocent people in Manchester were not a group who slipped in and out of Britain to wage terrorist war without anyone noticing. Rather, they were part of a terror gang deliberately encouraged and aided and abetted by the British political elite and intelligence services. They were yet another example of the way in which Britain and key allies, including the USA, Israel and France, have continually treated Wahhabi-inspired terrorists as pet scorpions which they can drop down other people’s shirts in the hope that they will do their dirty work for them. 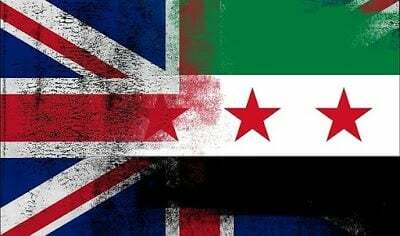 The Manchester bombing was a terrible and classic example of the accuracy of President Assad’s warning against this wickedly cynical policy. One year on, with defeated Daesh fighters using every possible route to try to escape final annihilation by the Syrian Army by slipping into Western Europe, the resulting danger is now worse than ever. The West no longer even knows where its scorpions are. Its short-sighted political and media elites need to check their own boots!